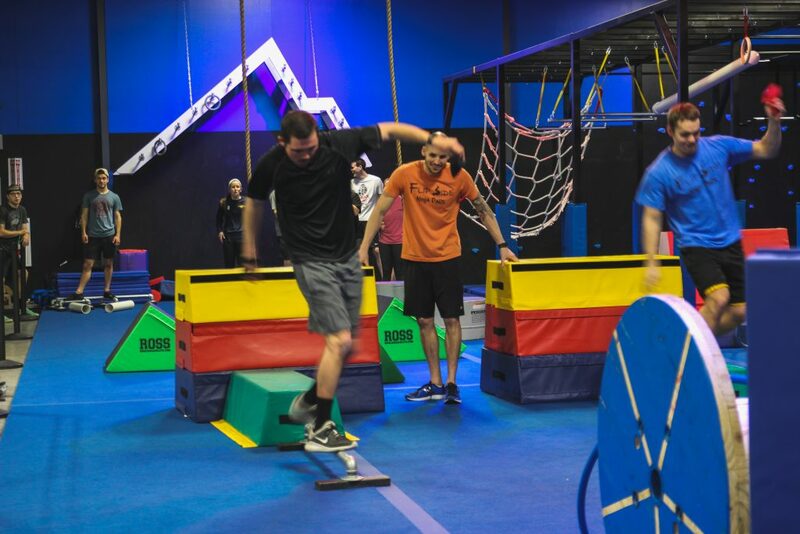 Whether it's enjoying an awesome team building experience for your staff, offering a sports team a unique way to train, or simply working off energy with a youth group, Flip Side Ninja Park is the perfect space for your group event. Your group will have private access to the entire gym for 2 full hours. You'll get 1 full hour of floor time (adult open gym, obstacle course races, relays, games, etc.) and 1 full hour for staff/employee meeting, follow up, snacks and drinks, or whatever you see fit. Contact us today to set up the perfect event for YOU! Please call us today for available event times and for pricing!